In a statement, Clint Payne, Melissa's brother and Kurt's brother-in-law, said the family was family was heartbroken. 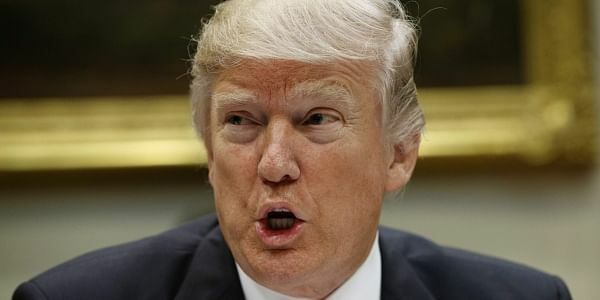 WASHINGTON: Donald Trump on Thursday confirmed an American was killed during the bloody rampage at the British parliament that has been claimed by the Islamic State group. "A great American, Kurt Cochran, was killed in the London terror attack. My prayers and condolences are with his family and friends," the president said in a tweet. Cochran was from Utah and had been in London with his wife Melissa, who was seriously injured. "Kurt was a good man and a loving husband to our sister and daughter, Melissa. "They were in Europe to celebrate their 25th wedding anniversary, and were scheduled to return to the United States on Thursday." "Melissa also received serious injuries in the attack, and is being cared for in the hospital. We express our gratitude to the emergency and medical personnel who have cared for them and ask for your prayers on behalf of Melissa and our family." Eric Hawkins, a spokesman for The Church of Jesus Christ of Latter-day Saints, told AFP Melissa's parents "are serving as missionaries for the LDS Church in London." The London attack -- blamed on 52-year-old British man Khalid Masood -- has fueled fresh calls from American right-wing commentators for tougher controls at US borders. Trump has made curbing migration -- notably from Muslim-majority countries -- a focus of his administration.